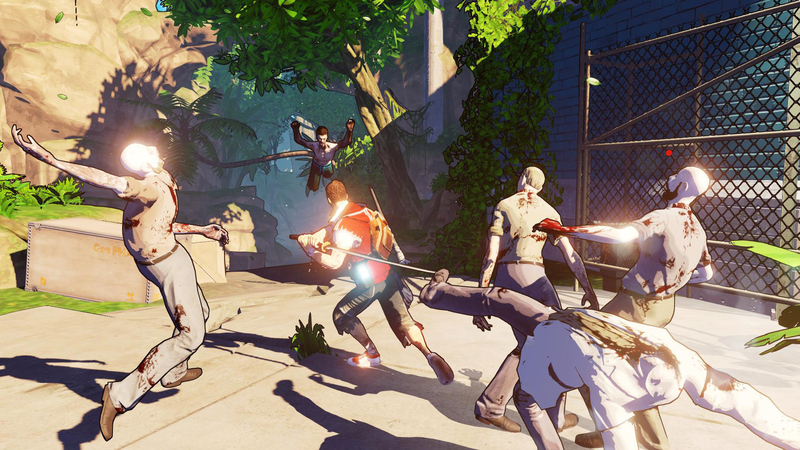 Escape Dead Island aims to fill a gap, tell a story and bring us a little more zombie bashing whilst we wait patiently for Dead Island 2. Is it worth a playthrough for all but the most hardened of zombie killers? Quick answer? No. Long answer…Still no. But it ain’t as bad as you might think. 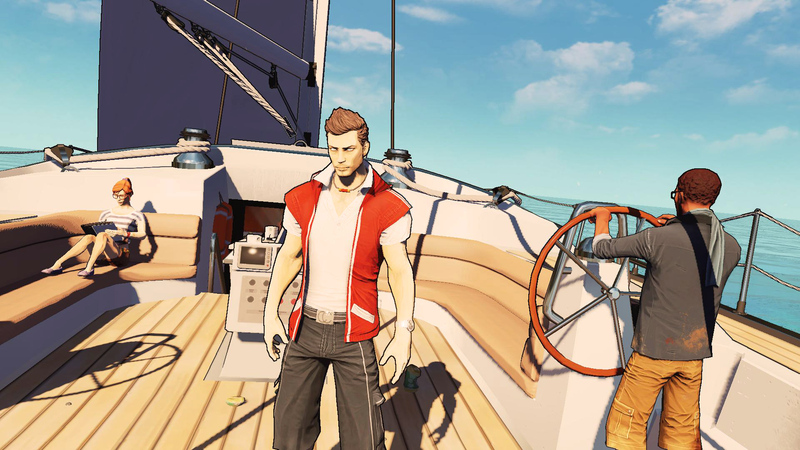 Set in a third person perspective, Escape Dead Island sees Cliff Calo and a couple of friends set sail in search of Banoi, in an attempt to uncover the going ons from 2011’s original Dead Island and help prepare ourselves for the onslaught that Dead Island 2 will bring us in 2015. It’s fairly early on in the story that both Cliff, and indeed yourself, realise that things aren’t quite right aboard good ship Escape, with it being only a matter of time before the zombie masses start attacking Cliff from all angles. 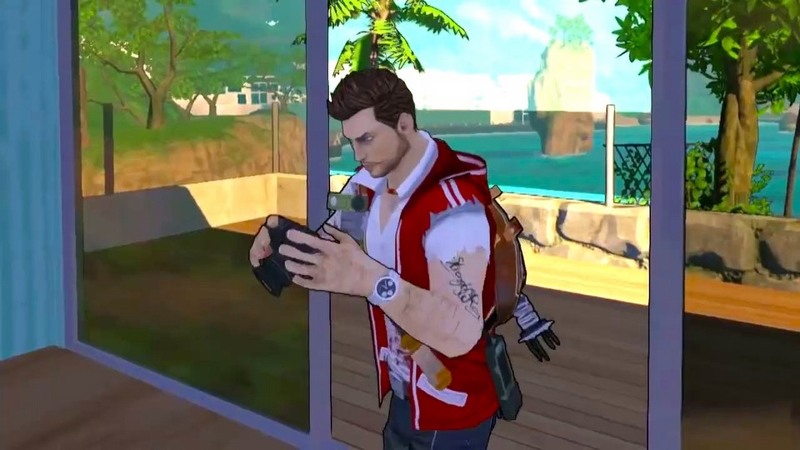 It’s about that time that Escape Dead Island starts attacking you as well, with some cel-shaded visuals taken straight out of 2005 and an island that is filled with some of the biggest gaming catastrophes I’ve seen for many a year. To cut a long story short, Cliff slowly starts to go mad, loses his mind and goes out on a zombie bashing spree that should have been so much better than it is. The problem we have though is that the game just doesn’t help itself in any way. 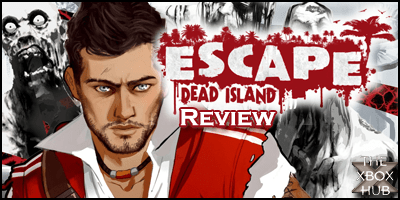 It’s hard to know where to start with Escape Dead Island but I’ll attempt to roll with the worst first and build up to the decent stuff. And it’s here that I must yet again mention the visuals. If we were taken back ten years, then the cel-shaded efforts that have been cast into Escape may have been acceptable, just. But here, sat in 2014 we must have better, even if the game in hand isn’t one of the big AAA titles with a massive budget behind it. Numerous times throughout the playthrough of Escape I just had to feel for the developers, Fatshark, and what exactly were going through their minds at the time. ‘Oh yeh, that looks great, we’ll roll with that’ can’t possibly be something that was ever muttered throughout the offices whilst this was being created. Or if it was, then maybe they too had lost their mind like the main protagonist. The island itself though has been reasonably well represented but detail isn’t something that was high on the agenda, just about being good enough to get by, but nothing more. You’ll be able to help Cliff navigate his way from one corner of the island to the other in a matter of minutes as long as you avoid the dead ends and a couple of bugs that, even with the day one patch installed, still manages to freeze the entire console. With the island split into a number of ‘areas’, you’ll find yourself trawling back and forth through the Heli-pad, over to the Villa and down through the Jungle plenty of times as you search out exactly where the hell you’re meant to be going next. There is a map, but it’s quite possibly the most worthless map I’ve ever had the pleasure of navigating round and is only accessible by jumping back into the main menu and navigating to it. Yes, it’s not a big island to look around but a small mini-map would have been oh so helpful. There has been a slight attempt at creating some joy through the inclusion of Cliff, his camera and numerous items/areas of Banoi that need photographing, but this too has been implemented poorly and unless you have a sixth sense that goes well beyond anything any normal human being has, will struggle to realise when you should or shouldn’t be on the lookout for the money shot. You’ll no doubt also stumble across some collectible items on your travels and whilst these attempt to fill the background story a little, after picking up the first few, and listening in to the audio that comes with them, it doesn’t take long for the rest to become more of a hassle than worthwhile. Trying to move away from the negatives and I must say, I enjoyed seeing the odd ‘thwack’ and ‘blast’ pop up on screen whenever I was dealing out a bit of zombie punishment. For all it’s negatives, this injection of humour when using the pistol, shotgun or melee weapon was much needed to drag me through. It would have been nice to have seen a bit of upgradable action for your weapons but the sad truth is there is absolutely nothing to look forward to. In more ways than one. Checkpoints, and indeed save points are well placed, helping out massively when you suddenly get attacked by a group of crazed undead. And these are something you’ll probably find yourself using fairly regularly as the health system seems a bit nuts, sometimes allowing you to take plenty of punishment before sending Cliff into a spiral, whilst at others seeing him fall to the ground after only one infected bite. Perhaps it depends on which of the zombie types attack you but no matter how much I tried, I couldn’t find a reasonable explanation for many of Cliffs deaths. For all it’s negatives though, I had a fairly enjoyable time with Escape Dead Island. You’ll have to put everything you know about videogames to one side and be able to look beyond the terrible graphics, occasional game breaking bugs and laughable acting, but if you can manage to do all of that, then you too should be amused by what is on offer. If you’re after a single player game that you can sit down with for a few hours and just mindlessly bash through, then Escape Dead Island will allow you to do just that. However, if you’re looking for the next big zombie thriller or a game that is going to give you long lasting memories (of the good kind), then this really isn’t for you. Fun it is, but if you’re looking for your zombie fix, wait patiently for Dead Island 2 as Escape brings nothing to the series table.